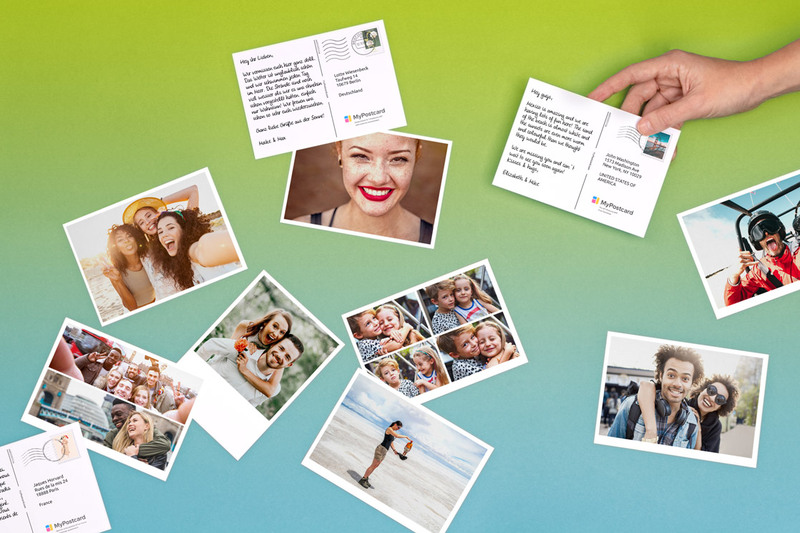 Create and send your own personalized photo postcards and greeting cards online, or download the free postcard app to send cards on the go wherever you are. Code valid once per new customer. 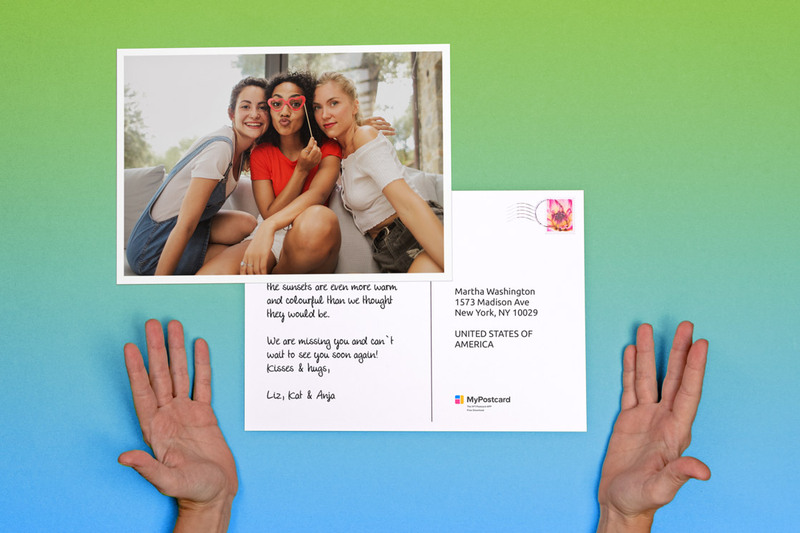 Use your own photos and a personal message to create and send customized photo postcards and design postcards on our website or directly on your phone with our app for Android and iOS. Send personalized photo greeting cards anywhere in the world by designing greeting cards with your own photos and a personal note on our smartphone app or website now. Choose from one of more than 10,000 designs, personalize the text, and create customized postcards or greeting cards from our site or your phone. Once you've personalized the perfect postcard, order a whole set and send it to anyone you want! Choose from loads of options – from sets of 8 all the way up to 200! Personalize your perfect greeting card and order a whole set. Add a handwritten message and send them out to anyone you like! Choose from lots of options – sets of 8 all the way up to 200 cards! Choose 15, 22 or 30 of your favorite photos and have them mailed directly to your door in a stylish gift box. Send your photos as real XXL postcards or XXL greeting cards with your personal message worldwide, from our site or your phone. 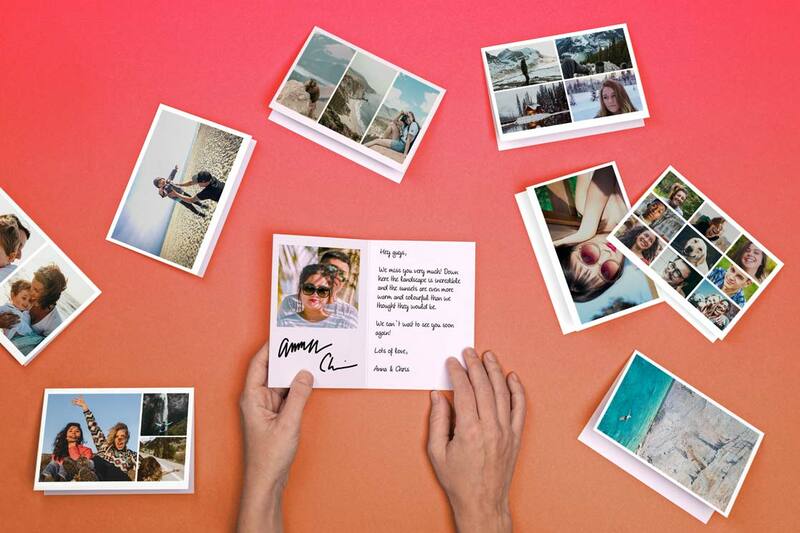 It has never been easier to send postcards with your own photos. 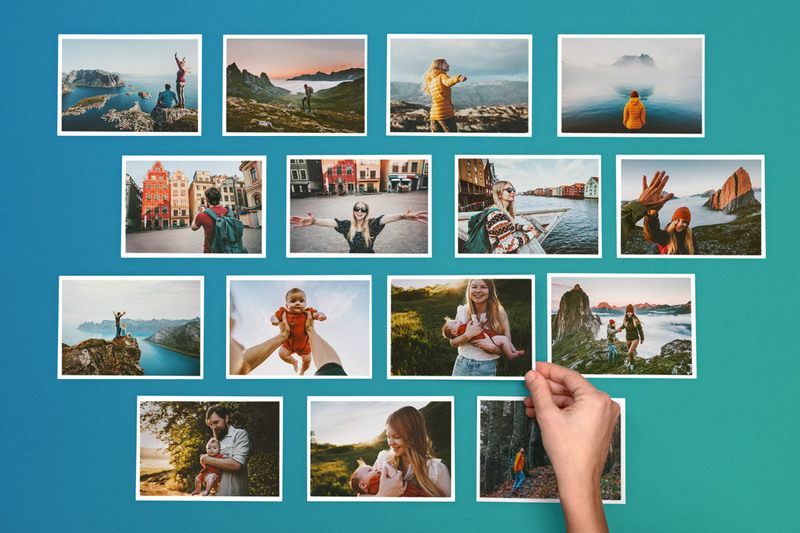 Regardless of whether you wish to send photos from your cell phone or computer, from Instagram or Facebook, MyPostcard makes it possible. Download the MyPostcard app in the App Store or Google Play Store, and send real postcards straight from your computer or smartphone. Creating your own postcard can be done very easily and quickly. Just choose one of our postcard templates, upload your photos and write your personal text on the back side. Now all you have to do is add one or more recipients, pay, and we will produce your postcard within 24 hours and send it out by mail to anywhere in the world. After we have printed your postcards, each and every one goes through a quality assurance process. All of our postcards are made in a 4.1 x 5.8 inches format, which corresponds to the international DIN A6 norm, the traditional postcard format. We print all postcards by digital print on 300g thick paper or postcard cardboard. The postcard will also be given a high quality gloss lamination on the front side. 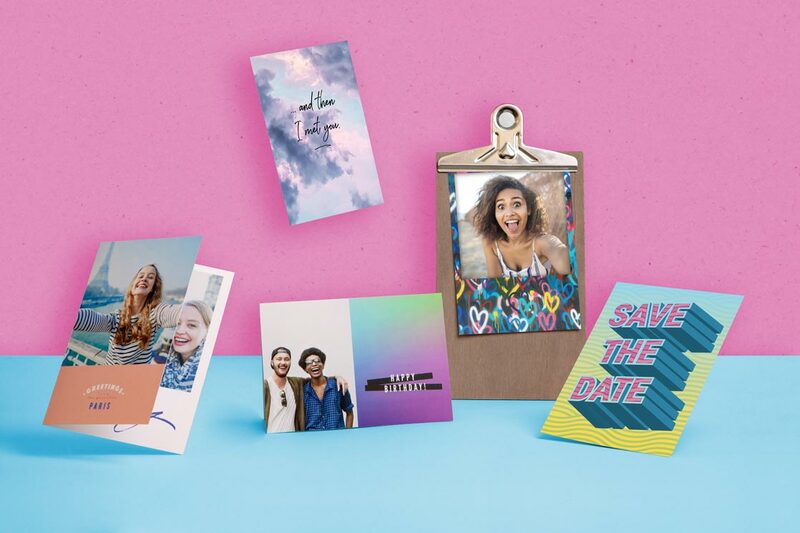 At MyPostcard, you can design greeting cards with your own photos, or select a design from one of our more than 10,000 templates and send it without a photo. We have the world's largest selection of designs, so you will surely find the right design for every occasion. Check out our design shop - and get started. Whether you’re looking for a card for a birthday, love, Christmas, Easter, Valentine's Day, art, illustrations, wisdom and sayings, congratulations, thank you, get well soon, photography, funny, invitations, friendship, wedding, engagement, holiday greetings, nature, scenery or just because … you will find the right postcard or greeting card for every occasion, which you can complete with your own personal text. At the end of the order, you can choose from among all the usual payment methods. Then your postcard will be printed and we will send it anywhere in the world. No matter where you are and no matter where your recipient is. Photo developing: get your best photos and pictures developed on premium photo paper. 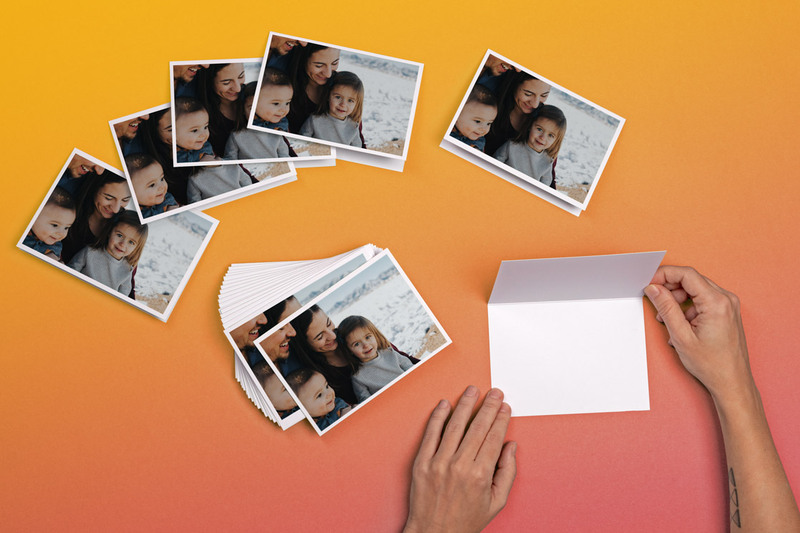 Whether they’re snapshots, holiday photos or family portraits, many digital photos deserve to be printed on paper, and the MyPostcard app is the right partner for developing your digital photos. Surround yourself with photos from your favorite experiences or delight your family and friends with fantastic shots. 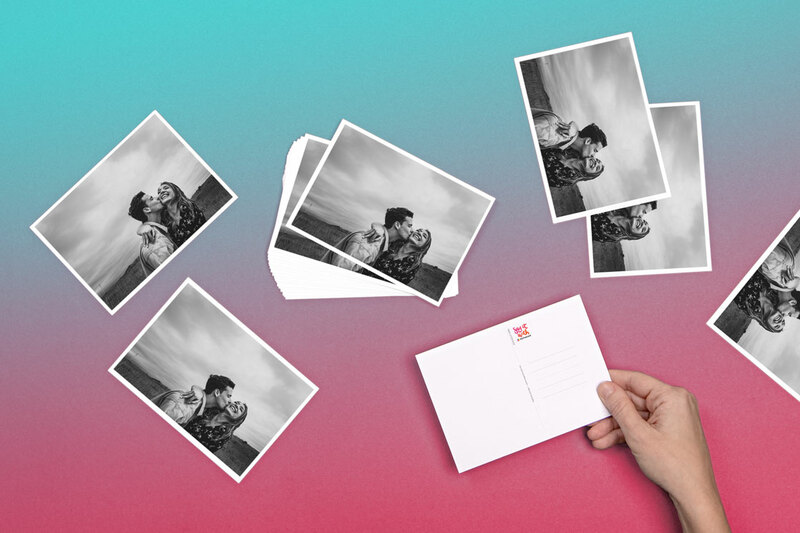 You can order your photos easily and comfortably on your smartphone or tablet computer, and choose one of three stylish retro formats: the classic "postcard" in a 4 x 6 inches format, a square 4 x 4 inches style and a trendy instant Polaroid look. Your favorite pictures will shine on high quality glossy prints and be shipped in a designer photo box. We develop and print every photo on premium photo paper. That means that your prints will be top quality, with natural looking, radiant colors. The higher the picture’s resolution, the clearer the details can be recognized on premium photo paper. Our photo paper’s UV protection prevents fading and guarantees a long life for all photo prints.